I posted earlier about preparing for a Happy Saints Exhibition. 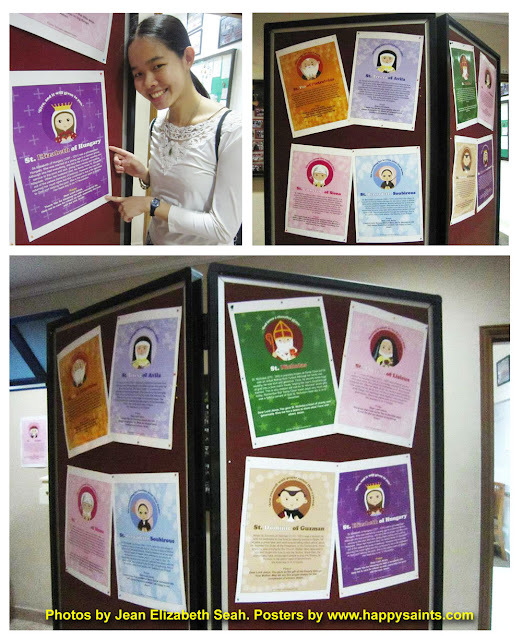 It took place at the Church of the Holy Spirit in Singapore during the last two weeks leading to All Saints Day. Here is a collage of some of the panels, taken by my friend Jean Elizabeth Seah! 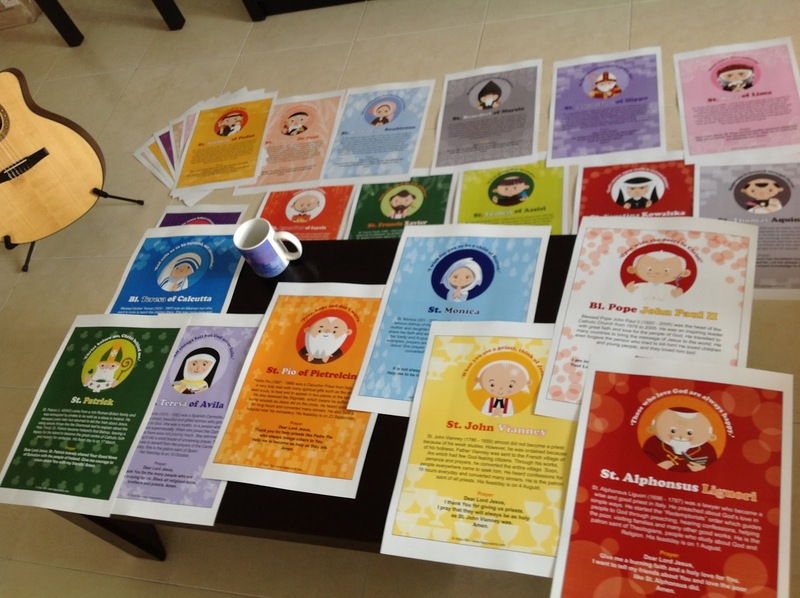 The posters are all taken from the Happy Saints ebooks.